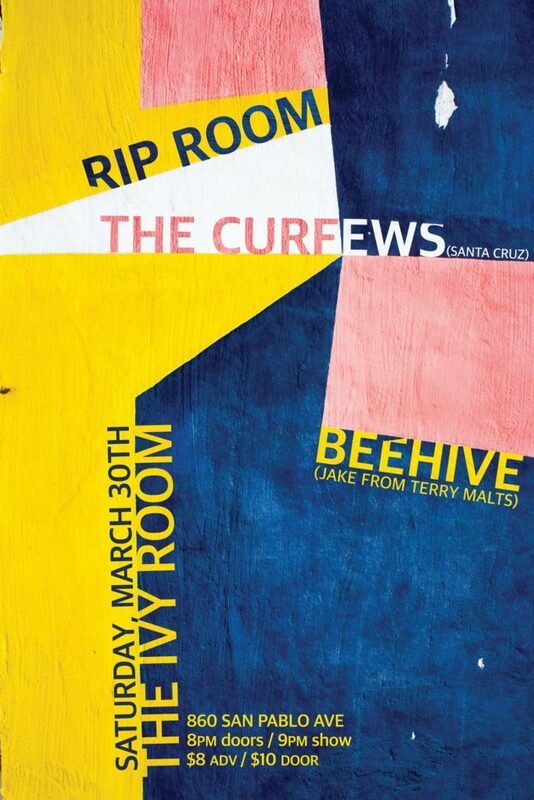 We have one Bay Area show left this month on Saturday 3/30 at Ivy Room with The Curfews and Beehive before we hibernate for a bit. Next local show is looking to be in June, and The Curfews and Beehive (Jake from yr faves Terry Malts) are not to be missed so don’t snooze on this one! Tickets are available through Ticketfly, more details via Facebook.